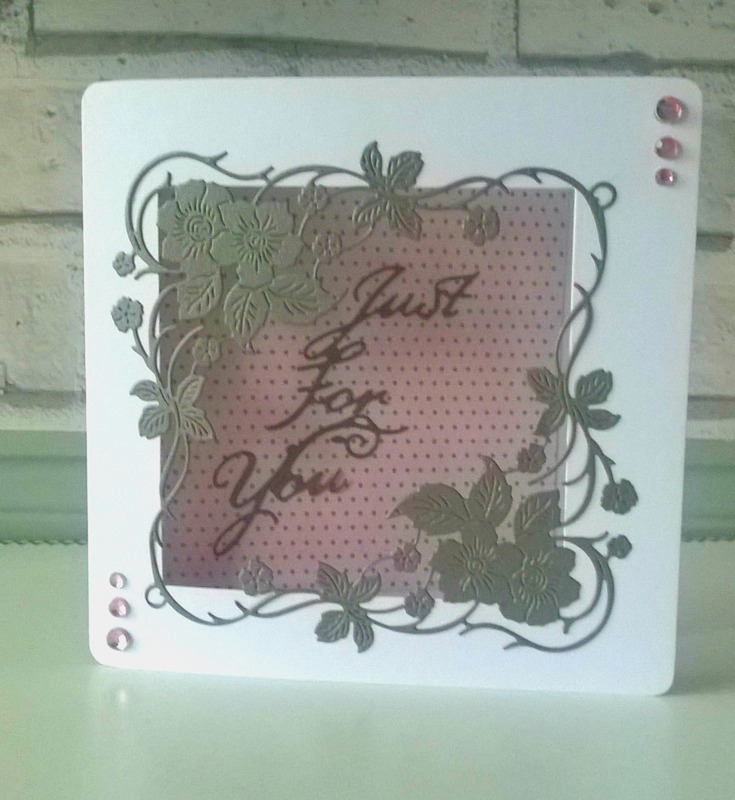 Today I am revealing my design team samples for Tattered Lace's Shadow die collection which launches tomorrow at 12pm on Create and Craft TV. 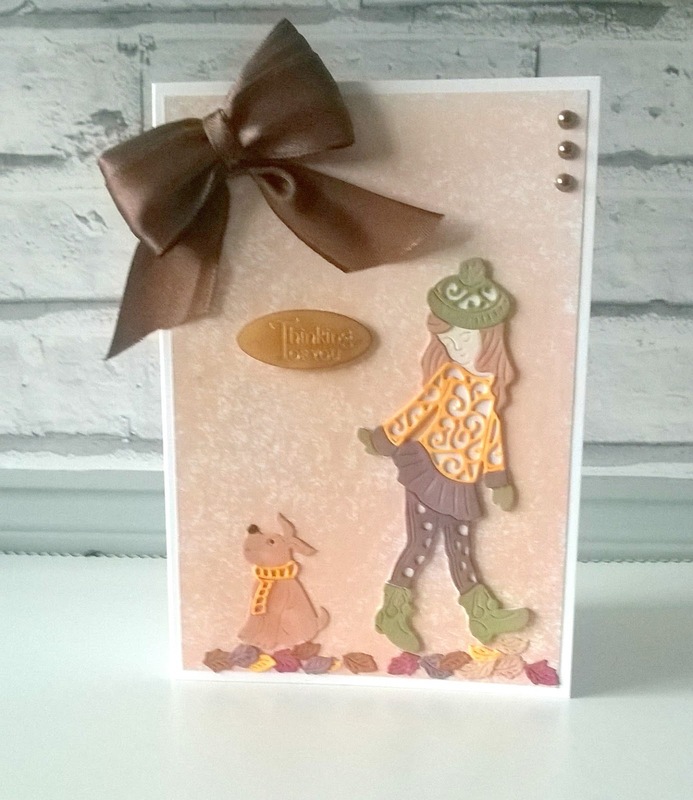 This first card is something very different for me, I love the autumnal theme and colours. I die cut the girl 3 times, one layer I cut into elements to colour and the others I glued together to give a faux chipboard effect. 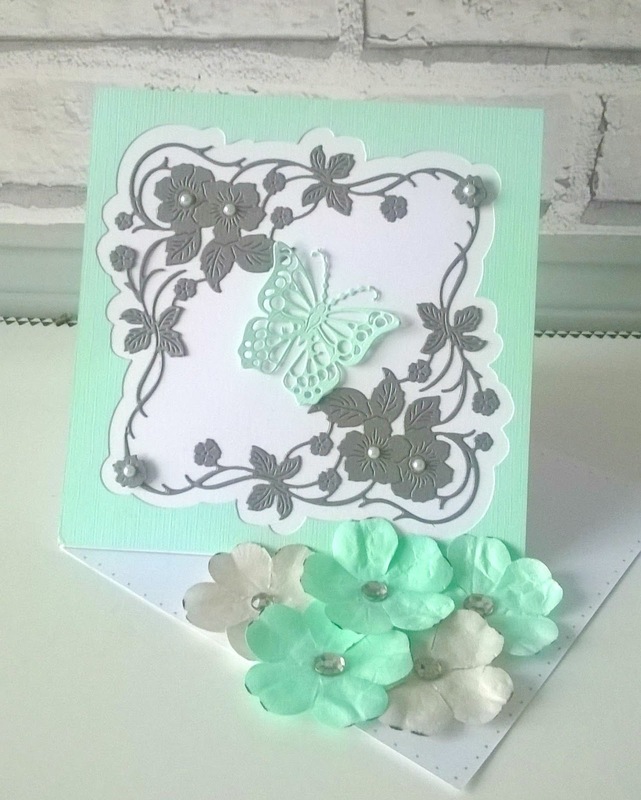 This was a very simple card, just a few gems, stickles glue and a bow were all that I added. 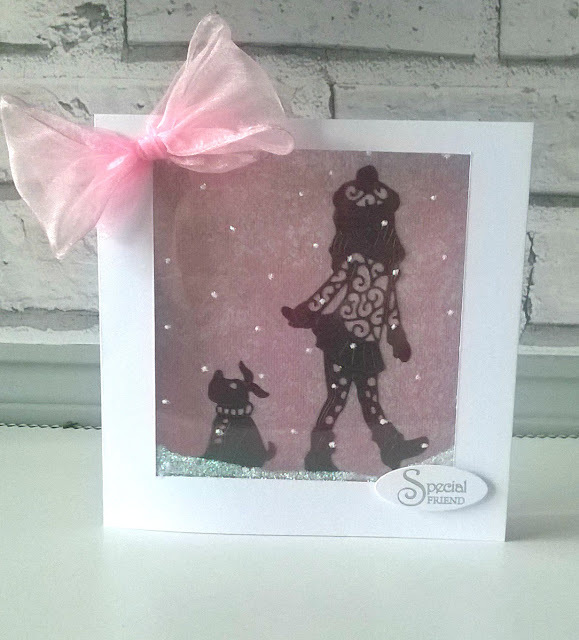 I adore the wintry scene this card showcases. I added some white snow to a piece of acetate using a Posca pen and then added some stickles for a glistening look. 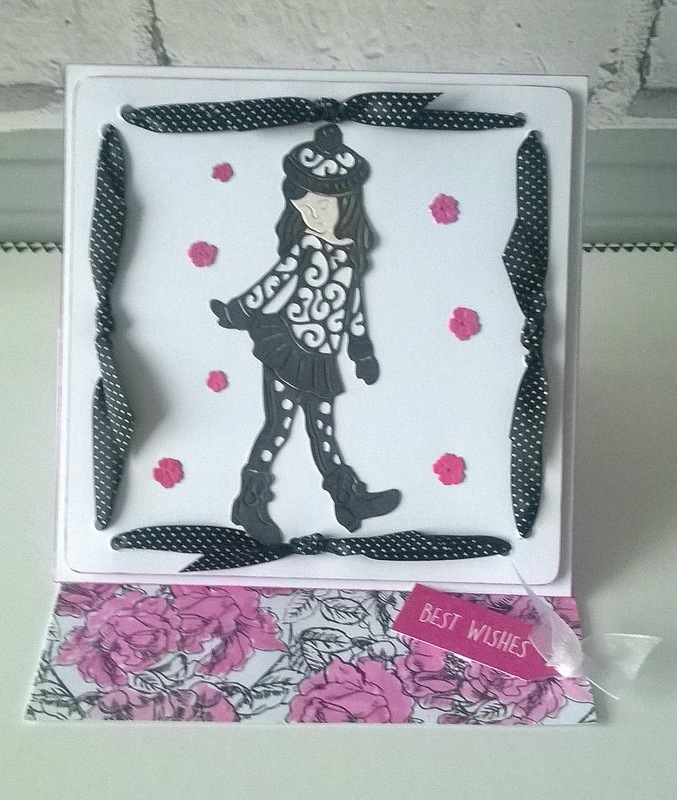 This is my first ever twisted easel card, I used some paper flowers which I coloured using Promarkers to match the overall colour of the card. The butterfly is from the Pentagon box collection. 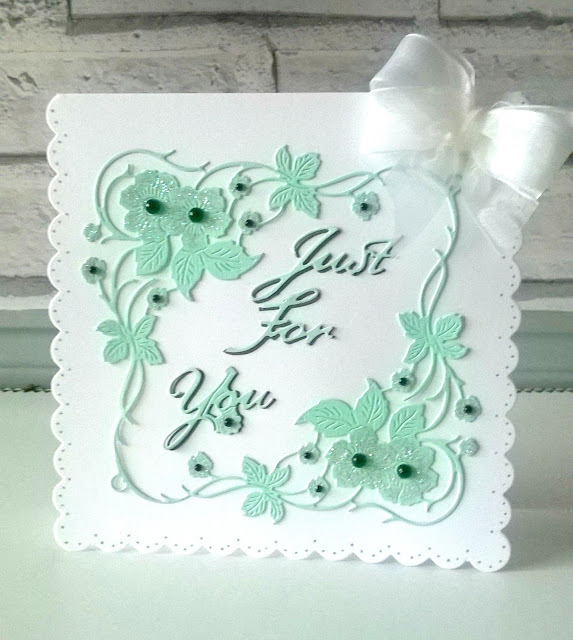 I had so much fun making this card, I woke up in the night with the idea for the ribbon, the paper used on the base of the card was black and white but I used an ink pad and water to give it a loose watercolour effect. I continued the colour theme by using the ink pad to colour the little flowers too. I hope you'll tune in to Create and Craft TV tomorrow at 12pm to watch all the amazing demos and see more samples from the very talented design team.